When former Grand Teton National Park climbing ranger Dave Bywater left his post at the park, he estimates that he’d scaled the Grand Teton something like 70 times. Bywater is now the Vice President of Commercial and Military Sales at 37.5 Technology, but he hasn’t let a busy schedule keep him out of the mountains. In the decade since he left the park, he’s climbed the Grand once a year, for a total of more than 80 summits. The son of a park ranger, Bywater grew up in southern Utah and spent his childhood summers with his family in iconic national parks like Yellowstone, Grand Teton, and even one summer in Denali. By the time he was a teenager, Bywater was captivated by climbing. 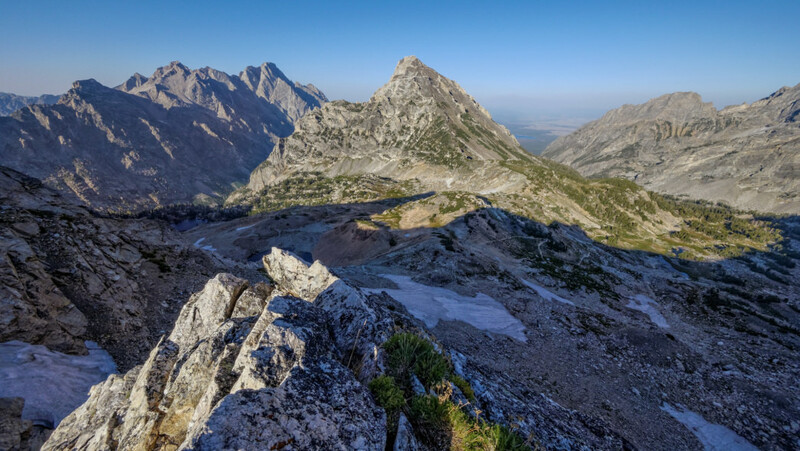 During a summer job as a ranger issuing permits at Grand Teton, Bywater regularly encountered climbing rangers during his backcountry patrols, and it dawned on him that he could get paid to go climbing. He spent the next several years building up the skills he’d need to get hired for his dream job as a climbing ranger, including learning emergency medicine skills and, of course, spending every spare moment climbing. “It was just as fun as I thought it was going to be,” he says of his decade as a climbing ranger at Grand Teton. During that time, Bywater went from being a fairly new climber to a veteran, and he’s got plenty of wisdom to impart on newer climbers. Here’s what he suggests. Bywater’s first real foray into the world of climbing was a trip up the Grand Teton with Exum Guides the summer he was 17. He’d spent the previous summer working to save money for the cost of the expedition. “By the time I got down from that trip, all I could think about was climbing,” Bywater says. His Christmas wish list that year was mostly climbing gear. The time he spent on the Grand with a professional guide service was invaluable to his climbing education. Unfortunately, during his tenure as a climbing ranger in Grand Teton National Park, Bywater saw—and participated in the rescues of—plenty of folks who hadn’t learned the skills they needed from a more experienced climber before heading out into the mountains. Bywater’s first real foray into the world of climbing was a trip up the Grand Teton. “You can get in over your head quickly [outside],” says Bywater, who notes that it’s a totally different environment than the gym, which is set up to keep climbers from hurting themselves. Part of transitioning from indoor to outdoor climbing is learning about the key differences between the two. Of course, it’s crucial to come prepared for a full day (or, in case of an emergency, longer) outside. Part of that is carrying the essentials you’ll need, including apparel to keep you warm and dry during your time in the backcountry—like your favorite Rab baselayer and Point6 socks, both of which use 37.5 Technology. One of those differences, according to Bywater, is climbing grades—take them with a grain of salt outside, he says. Unlike at the gym, where routes are graded according to a more universal standard, outdoor grades vary wildly. “Try to understand the historical era that the ratings came from,” Bywater explains, noting that routes that went up in the 1960s, when climbing gear and apparel were less developed and there was no such thing as a 5.13, are going to be graded a lot more stiffly than more contemporary routes. “If you buy the climbing guide, you might see a 5.6 route,” he says. “But Yvon Chouinard put it up in 1960.” Odds are, in that case, it’s not going to climb like the 5.6 routes you might be used to warming up on at the local gym. Looking for a beginner-friendly area to work on your outdoor climbing skills and systems? Bywater recommends his hometown—St. George, Utah. “It has great introductory outside sport climbing,” he says, adding that there’s a huge variety in terms of geology and, if you avoid the summer months, ideal climbing weather. Find apparel to keep you warm—like a Rab baselayer. 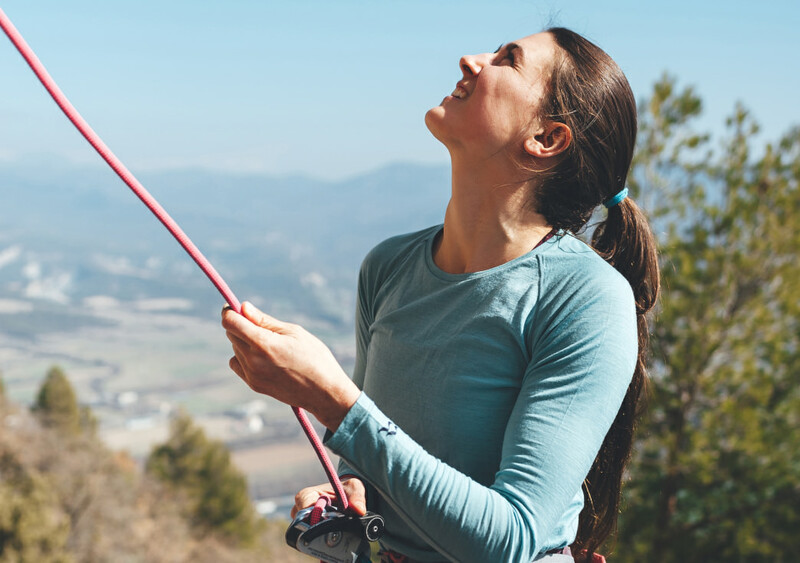 If you’re headed outside to climb, rope management and anchor building aren’t the only skills you’ll need. He also suggests that climbers come equipped with basic navigational skills, since cell phones don’t always work in the remote backcountry. Knowing how to read a map and compass could save your life. Some of the gnarliest rescues Bywater encountered during his time as a climbing ranger in the Tetons happened when lightning storms caused major trouble high in the mountains. With that in mind, it’s strongly recommended that climbers check the forecast before heading out for the day and know how to identify an oncoming storm. “An alpine start is always a good thing,” Bywater laughs, pointing out that you’ll also be glad to have gotten an early start if you have to spend some extra time finding the route. Climbing outside is trickier than walking right up to your chosen grade at the gym, but it’s worth the effort.